Find everything you need to build your dream dollhouse with Superior Dollhouse Miniatures. High quality and affordable, our selection of More Dollhouse Minis, dollhouse miniature furniture, building supplies, accessories, dollhouses, and miniature decor will provide detailed charm to any remodel or new construction! 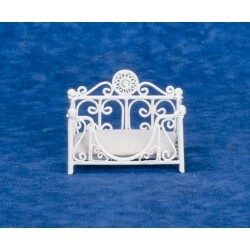 We are proud to bring you the best of the best in luxury dollhouse miniature furniture. Our luxury miniatures are stunning in craftsmanship, quality, and presentation. A true representation of the finest in quality dollhouse furniture. Big things come in small packages. Check out our 1/4" scale dollhouse miniature product line. 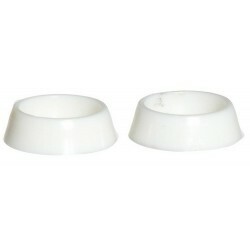 An even greater deal is just clicks away when you purchase from our Overstock Miniatures. Don't wait as our overstock items are limited in quantity and priced to accessorize your home today! Purchase 4 items from our OVERSTOCK inventory and we will include a FREE GIFT! 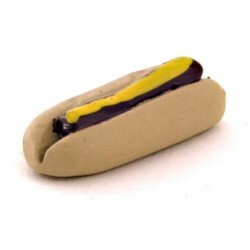 Redecorate and redesign your dollhouse with this HOT DOG IN BUN. Your decor and collection of miniatures will be taken to another level of fabulosity. 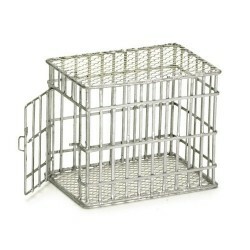 You will love this SMALL DOG CAGE/GALVAN/CB as it complements your other miniature dollhouse furnishings. Now is the time to design a great new look! 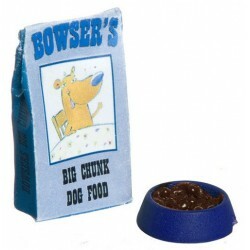 Adding this DOG FOOD BAG/FILLED BOWL to your miniature collection is just what you need to make your dollhouse a home, and showcase your fabulous taste. 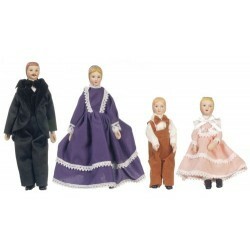 You will love this 4 PC PORC.DOLL FAMILY as it complements your other miniature dollhouse furnishings. Now is the time to design a great new look! 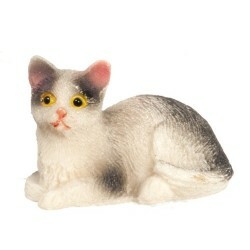 Adding this BL.& WH.CAT/SITTING to your miniature collection is just what you need to make your dollhouse a home, and showcase your fabulous taste. 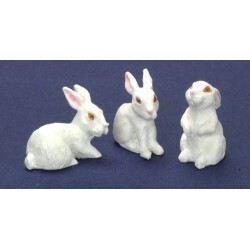 You will love this RABBITS/SET/3 as it complements your other miniature dollhouse furnishings. Now is the time to design a great new look! 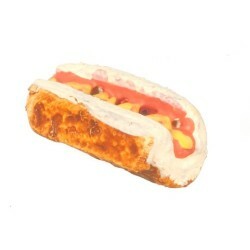 Enhance your dollhouse collection with this HOT DOG. Added to your other dollhouse miniatures, it is a complement for a variety of styles and tastes. 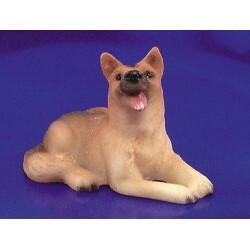 You will love this S/2 Dog/Cat as it complements your other miniature dollhouse furnishings. Now is the time to design a great new look! 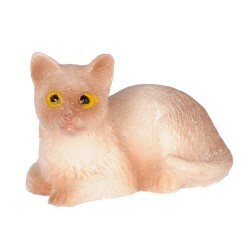 Adding this SIAMESE CAT/SITTING to your miniature collection is just what you need to make your dollhouse a home, and showcase your fabulous taste. 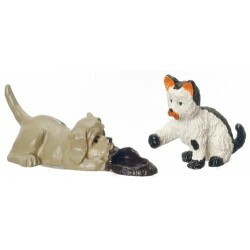 You will love this SMALL PET DISHES/SET/2 as it complements your other miniature dollhouse furnishings. Now is the time to design a great new look! Adding this GERMAN SHEPHERD to your miniature collection is just what you need to make your dollhouse a home, and showcase your fabulous taste. You will love this LARGE PET DISHES/SET/2 as it complements your other miniature dollhouse furnishings. Now is the time to design a great new look! 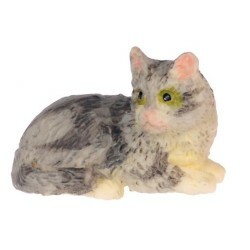 Enhance your dollhouse collection with this LAYING KITTEN/GRAY. Added to your other dollhouse miniatures, it is a complement for a variety of styles and tastes. You will love this RECTANGULAR CAT BED/WH/CB as it complements your other miniature dollhouse furnishings. Now is the time to design a great new look! Adding this PORCELAIN MOTHER DOLL to your miniature collection is just what you need to make your dollhouse a home, and showcase your fabulous taste. 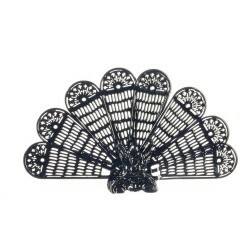 You will love this Pewter Peacock Fireplace Screen as it complements your other miniature dollhouse furnishings. Now is the time to design a great new look! 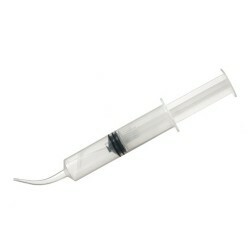 Adding this Curved Tip Glue Syringe to your miniature collection is just what you need to make your dollhouse a home, and showcase your fabulous taste. 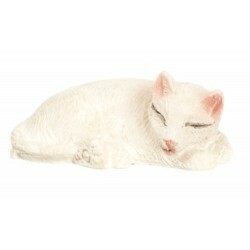 Spruce up your dollhouse with this miniature WHITE CAT/SLEEPING. We have many miniature More Dollhouse Miniss for that finishing touch.